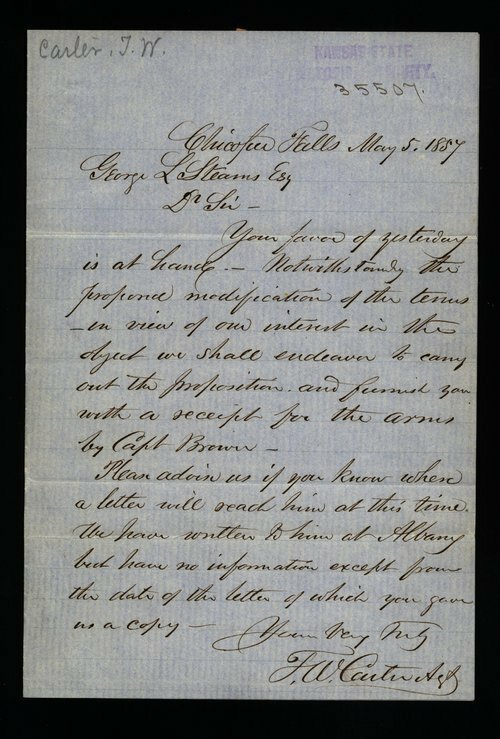 John Wesley Carter of Chicopee Falls, Massachusetts, wrote to George Stearns regarding a receipt of purchase for revolvers that were requested by Captain John Brown. Carter asked for contact information for John Brown since his previous attempts at contact had failed. A searchable, full-text version of this letter is available by clicking "Text Version" below.